As custom magnet manufacturers, engineering is at the heart of our business. Integrated Magnetics can help you achieve an optimized magnet solution for virtually any need; by application, cost, lead time, or reliability! Whether you need assistance with designing, engineering, or manufacturing your project to exact specifications, we have the experience and expertise to deliver custom magnets and magnetic assemblies, magnetic components, and magnetic sub-systems to your specialty requirements. We've found that concurrent engineering from the start of a program yields the best overall results, which is why we like to work with our customers from the very start on major projects. Request a quote or contact us to discuss your project. Our experienced team of engineers will work with you to determine the most economical way of manufacturing the magnetic assemblies you need. We are US-based magnet manufactures, with production facilities in California and Arizona, as well as wholly-owned manufacturing plants in Mexico and China. Each of our stateside and global low-cost region plants has complete manufacturing capabilities, including multi-axis CNC machining (over 150 CNC machines companywide), grinding, EDM (electrical discharge machining), tooling, and dedicated assembly facilities with Class 1000 cleanrooms. In addition, several of our plants have coil winding and complete electrical machine production capabilities. 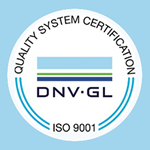 Since 1998, our quality management system has been certified to ISO:9001. 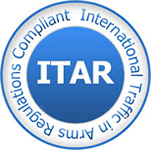 In addition to registrar surveillance and recertification audits, we perform regular customer and internal audits. 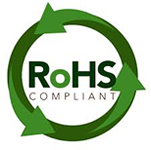 Our inspection processes include CMMs, VCMMs, and a full suite of mechanical inspection equipment. We are able to test magnetic characteristics and electrical parameters, and perform electrical machine testing. In-house balancing and environmental chambers for hot, cold, salt, fog, shock, and vibration testing are also available. We utilize Finite Element Analysis (FEA) and Finite Element Magnetic Modeling to identify technical problems in magnets and magnetic assemblies, which helps us provide more effective solutions for our customers. We measure and analyze flux densities, torques, and other factors to ensure that our products meet or exceed customer expectations. Learn more about our engineering and manufacturing capabilities by following the links below. You’ll see what makes us one of the industry’s leading magnet manufacturers. Request a quote on custom magnets or magnetic assemblies for your application, or contact us to discuss your unique project.